We are Now part of GetintheLoop! We are excited to be part of the Loop! Simply Log In to GetintheLoop on your mobile phone and become a valued member. 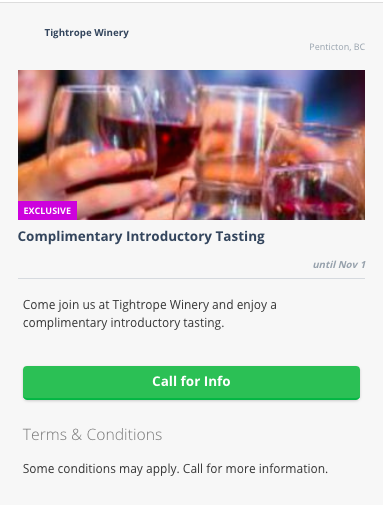 Take advantage of the many special offers and experiences, including our Exclusive "Venture on the Tightrope" Complimentary Introductory Tasting which includes 3 of our handcrafted award winning wines! Drop in to the winery and let us treat you to a unique Tasting Experience!